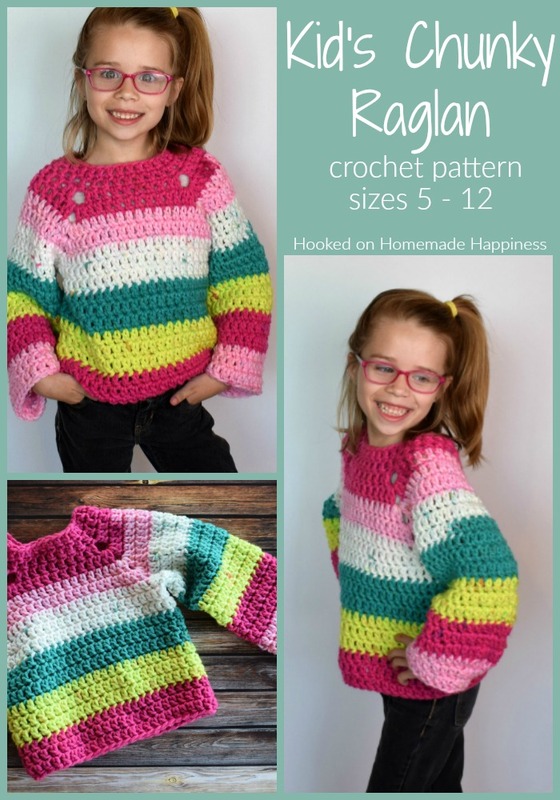 The Kid’s Chunky Raglan Sweater Crochet Pattern is made with 2 Chunky Caron Cakes. 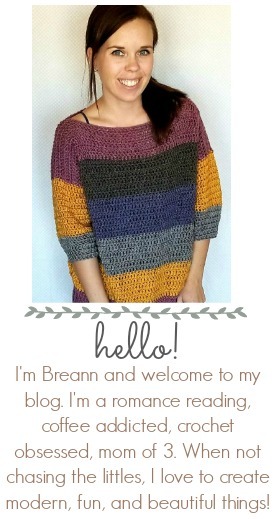 Because of the raglan style and the chunky yarn, it works up so fast. 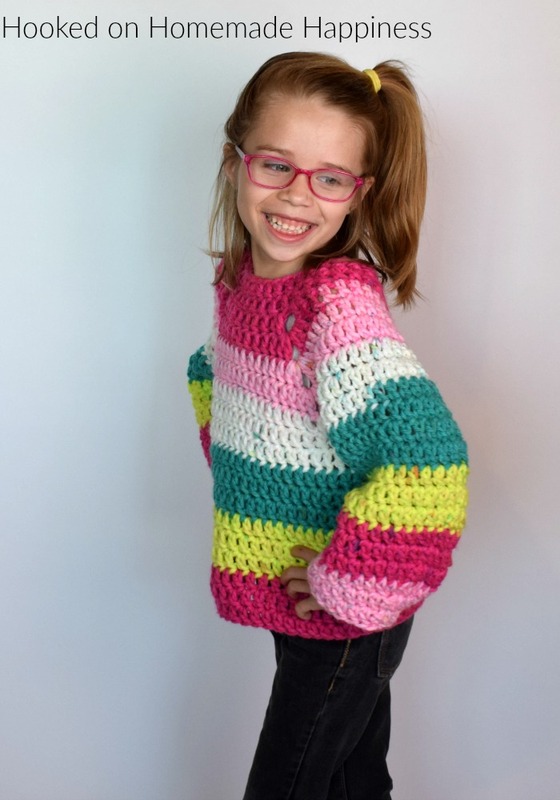 I had the entire sweater done in just one afternoon! 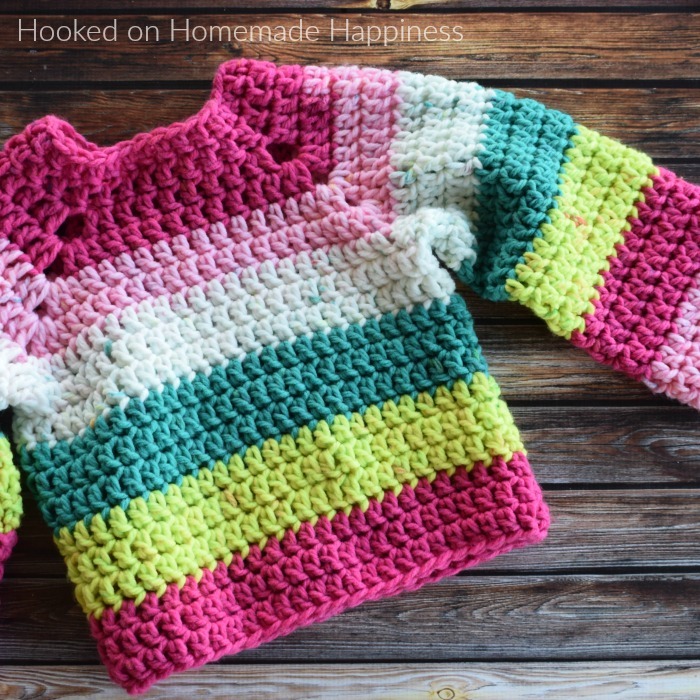 I used self striping yarn for this sweater, but I did cut the yarn to get to the colors I wanted when doing the sleeves. There were a few ends to weave in, but the matching stripes were worth it! 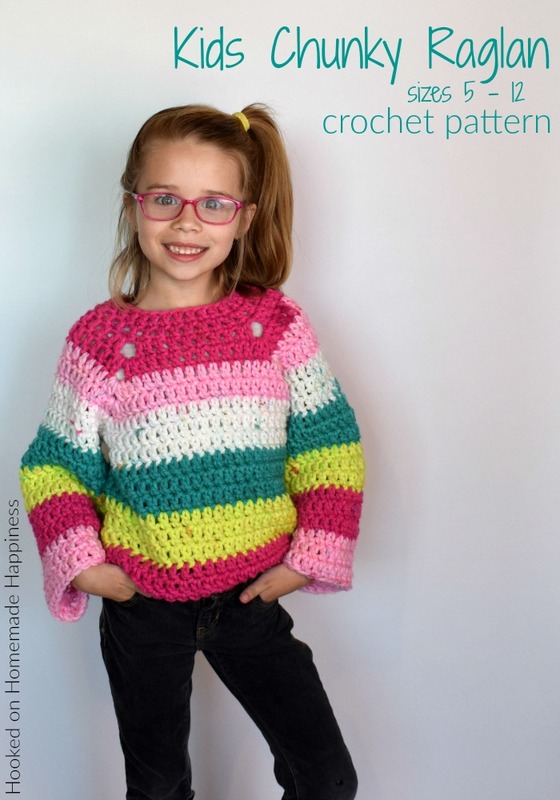 – Get the free pattern below or this pattern is also available as an inexpensive, clearly formatted, PDF instant download in my Etsy shop or Ravelry Shop! 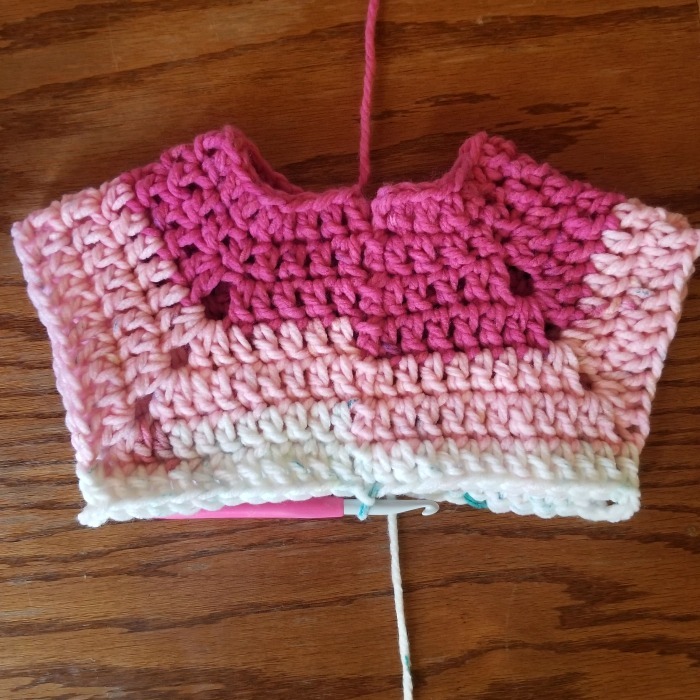 In the next round the sleeves are formed. Fasten off, weave in the ends. 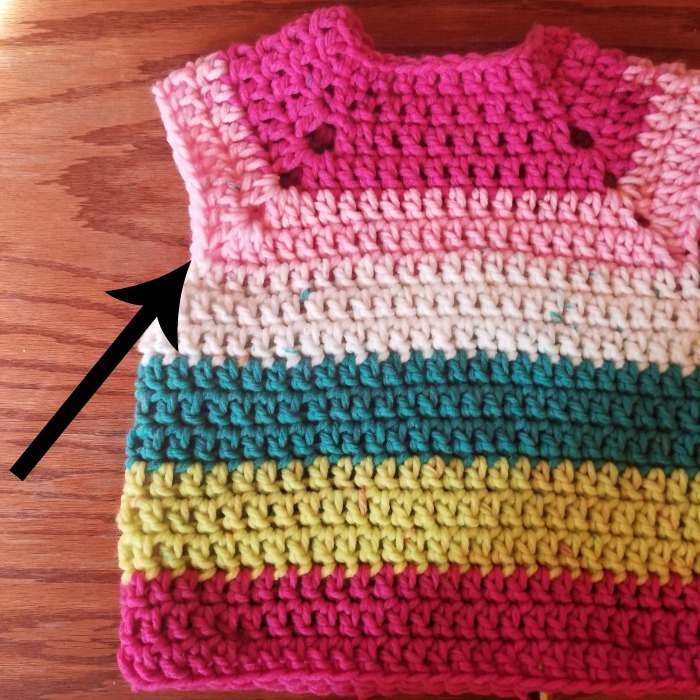 NOTE ABOUT SLEEVES: To make the stripes on the sleeves match the stripes on the body of the sweater, I cut to the color I wanted and matched the pattern to the body. And you’re done!! 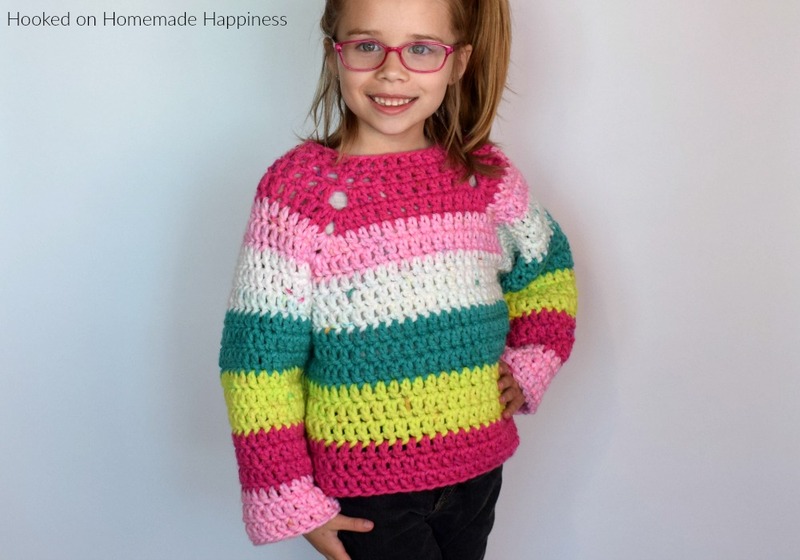 I hope you love this cute sweater! Super cute. Would this be unisex?